Which Bifold range gives maximum light penetration? What should I finish an unfinished set with? Can you offer made to measure or different size sets? 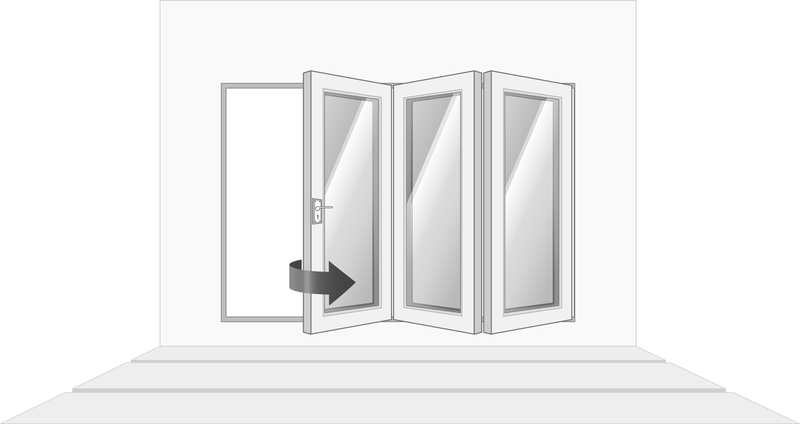 Can your bifold doors open inwards and outwards? Are your oak bifold doors solid oak or oak veneered? 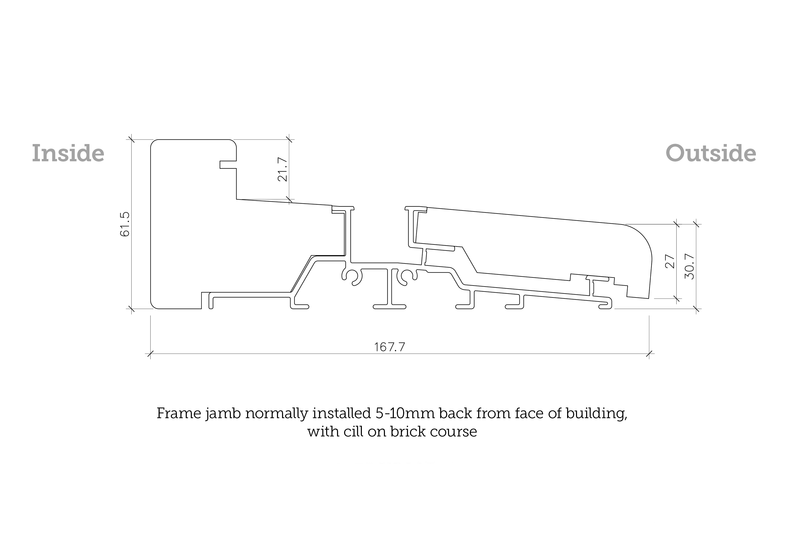 Do you offer a flush cill model that will be flush with internal and external flooring? Can the doors or frames be trimmed? Can I collect my bi-fold doors? Which direction and how do the sets fold open? Do I need to pass Building Regulations? Do I need Document Q? All ranges have slimmer stiles and rails around the glass giving over 12% more glass area than others on the market, resulting in enhanced light penetration and brighter rooms. Most of our customers who require to keep the Oak as natural as possible, use a product called ‘Sadolin Extra Durable Clear Coat Satin Finish’. This can be applied directly on to the product following the instructions on the tin. Alternatively, you can paint and we recommend well-known brands such as Dulux for example. We do not recommend oils or waxes as they may burn off in the sun. We only offer standard sizes as this keeps the prices at their lowest plus we can manufacture in volume. If you can plan your project to keep to standard sizes this will save you money. We only offer outward opening doors to save room in your home. Plus with inward opening doors, you run the risk of any rainfall coming into your home onto your internal flooring. Our sets are modern construction using a solid hardwood engineered core, which keeps the components straight and true, then we apply slices of Oak on all surfaces. Our Deluxe range and Prime range have 3mm thick slices of oak veneer . Veneers from other companies can be as thin as 0.5mm. We also do a fully solid oak door our Supreme range. Due to mandatory new building regulations requiring all external doors to be CE compliant, this is no longer available. To pass CE compliance means the sets have to be tested as to their thermal performance, carbon emissions from the home and weather tests to ensure water does not penetrate the home or the sets are draughty. This cannot be achieved if a flush cill is used due to the gaps at the bottom. To achieve a similar effect you can build your flooring on the inside room up to the same level as the upstand so they look flush when looking from the inside out and then there is only a very small step over to go outside. All of our bifold doors come with a 10-year manufacturing fault guarantee and we keep spare parts ready to send out if anyone has a problem but this is very rare. Full details can be found on our guarantee page. No, they cannot be trimmed. We factory pre-machine virtually everything for ease of assembly on site including the fitting of the hardware and locks therefore trimming is not possible as it may affect the performance and strength of the sets. Yes, with 48 hours notice (Monday to Friday only) of your order being received by us subject to payment by cash on collection. If you pay by credit or debit card or Bacs you can collect from the 4th day after the order is placed and payment is cleared. If you would prefer this option, please call us on 01484 637 955 before placing your order online. Delivery depends on what option you chose and where you live but our standard free delivery is 3 working days, which begins the day after your order. See our Delivery Information for more details. Will I know the delivery date? Yes this will be arranged with you and you will receive a date and a morning or afternoon estimated arrival time. Arrival times may vary though due to traffic and other unforeseen circumstances. Yes, we have a delayed dispatch option within the delivery section on the checkout page which allows you to delay for up to 4 weeks. What is the size of the cill? 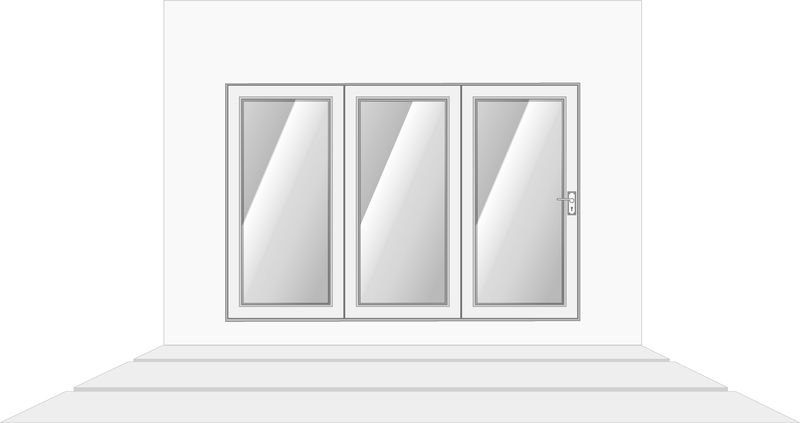 On our bifold doors up to 3590mm (approx 12ft), we have designed our sets to be reversible which means once you receive the set on site you can choose whether it opens and folds to the left or right and there is no need to mention this on your order. 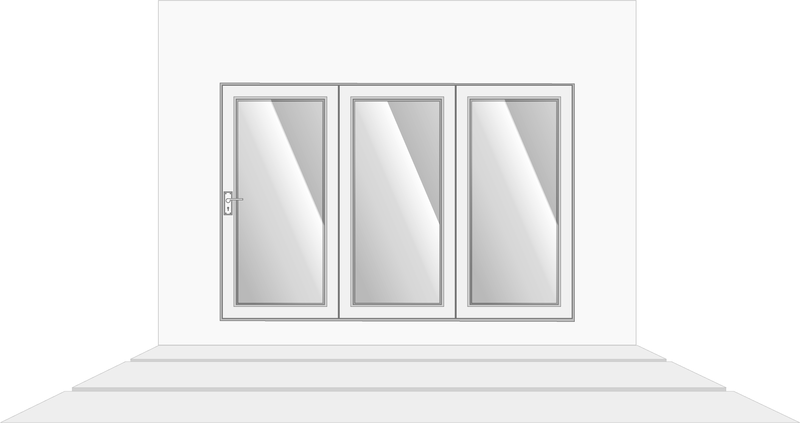 On our 2 largest sizes, 4190mm (approx 14ft) and 4790mm (approx 16ft) the bifold doors open centrally. Building Regulations are minimum standards for design, construction and alterations to virtually every building. They are developed by the Government and approved by Parliament. These are continually changing regulations with new ones added from time to time. Although we always try to achieve and meet these regulations we ask that you check all the local and national regulations you are required to meet before proceeding with your project and inform us prior to buying one of our door sets so that we can clearly offer advice as to whether our sets will comply. These regulations are normally stricter for New Build projects as opposed to adding extensions to the home or refurbishment of an existing dwelling. Document Q came into effect in October 2015 and is a Standard for the security of doors and windows in New Dwellings only. Document Q is part of Schedule 1 of the Building Regulations 2015 which include standards to make sure windows and doors are robust to resist a burglary to new dwellings from the ground floor or within 2 metres of a flat surface. 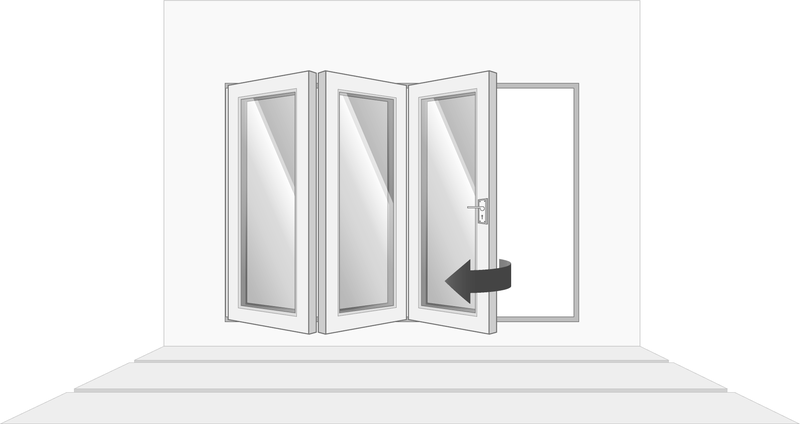 This does not apply to extensions to an existing dwelling or replacing existing doors and windows. Security of our doors - Even though our doors don’t currently pass the Document Q standard all our doors have a multi-point locking system designed to meet the requirements of PAS 24, BS6375. Therefore you can be certain our doors are a great secure product for any renovations to existing dwellings.